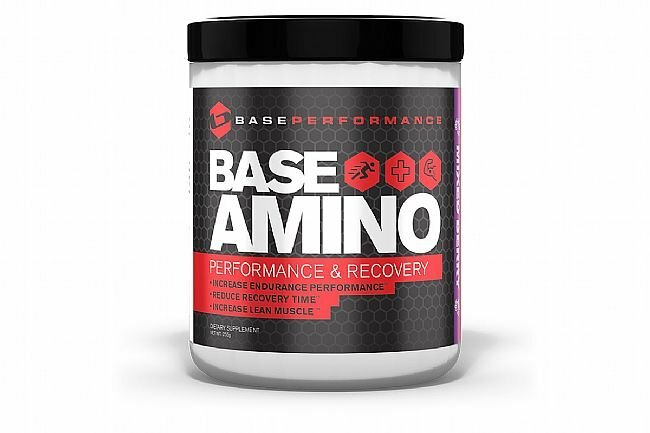 BASE Amino (26 Servings) is an amino acids-rich dietary supplement in the form of flavored powder; it dissolves in water, making it easy to consume and fast-acting for reliable performance and recovery benefits. Some of the essential elements of BASE Amino include: Branched-chain Amino Acids, L-Leucine, Isoleucine, and Valine, which reduce muscle damage and fatigue while promoting synthesis and repair. 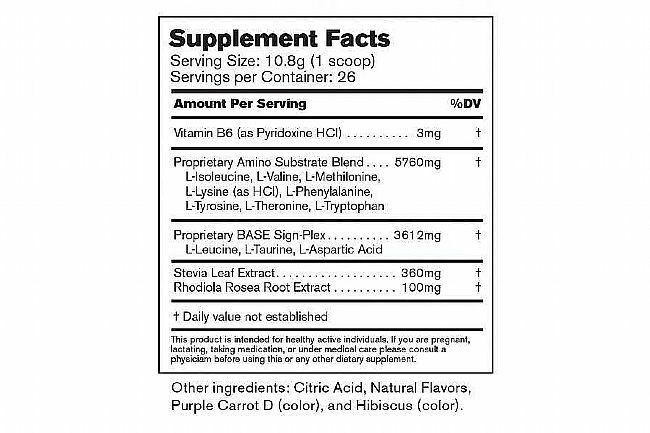 Phenylalanine is converted into Tyrosine once in the body and helps build muscle. It also promotes the synthesis of neurotransmitters for metabolism support. Increase or maintain lean muscle. BCAA’s - Leucine, Isoleucine, & Valine. I've been using this product for over two years, and it's made a huge difference in my training. It also saved me during the World Championship in Kona! I was DYING on the run, and I ran by BASE Performance tent at the top of Palani. I begged for some Aminos and they prepared a bottle and one of their guys ran it up to me. I was never so grateful. It brought me back to life. Highly recommended.